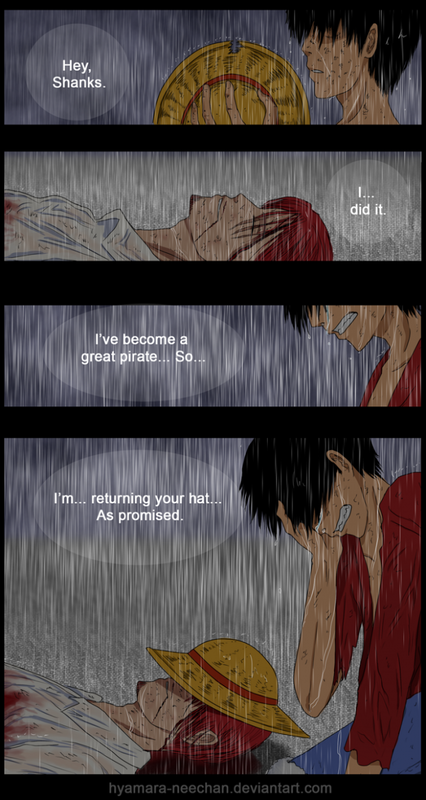 The death of Shanks foreshadowed. 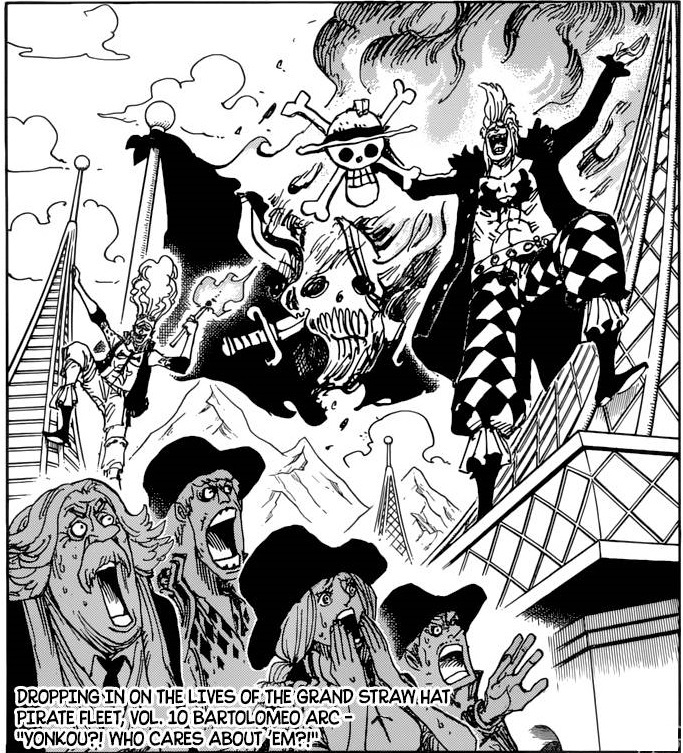 Shanks is wearing a skull-shaped Khakis which is the 1st death flag on Shanks. If you remember the death of Ace, it was foreshadowed by a card game where Luffy has picked the skull card and lost the game. But there was also a Spade of Ace card in his hand and the face what will do in that scene. 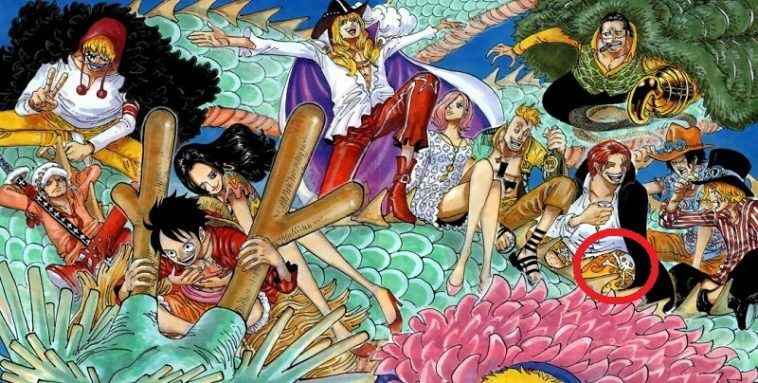 Bartolomeo is burning up the Jolly Roger of Shanks. As you saw that, when Whitebeard died, his flag was burnt back in Foodvalten by Brownbeard. So the same situaion has occured by Bartolomeo’s flag-burning for calling him for a fight. 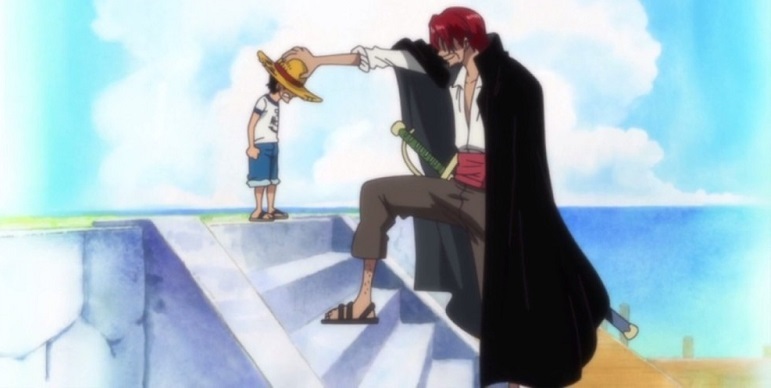 But that’s either not gonna happen or Shanks just doesn’t want to move his little finger to knock Barto out. 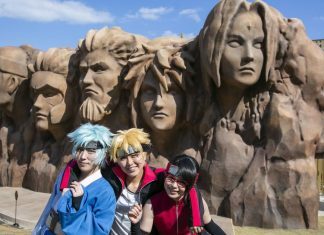 His death will be really emotional, because I have always seen a father-son relationship between Shanks and Luffy, because every boy’s idol and biggest inspiration is his father. 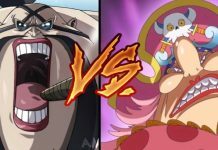 After Luffy has finally defeated Big Mom on Elbaf, then Big Mom will admit her loss and she will offer to make her join forces with Monkey D. Luffy. 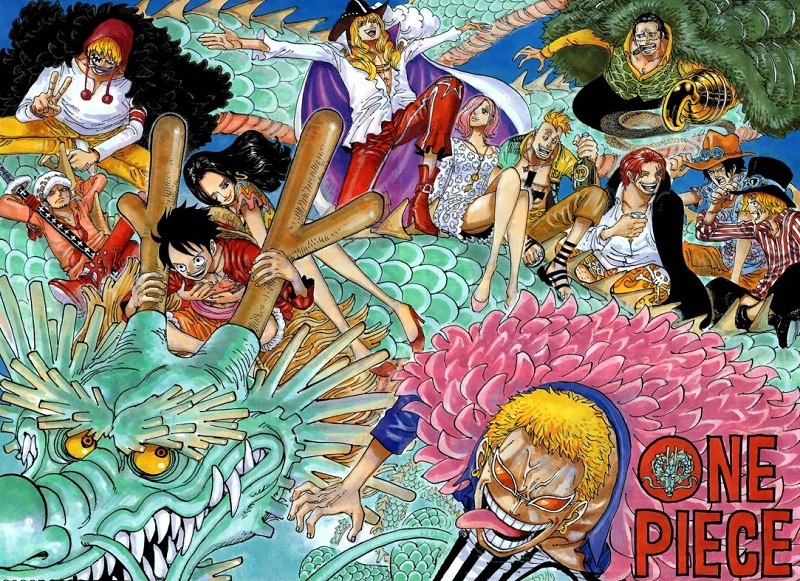 which means that Big Mom will be the ONLY one from the Yonko who will make it out alive, because Kaido will die by the hands of Blackbeard and he will have his Devil Fruit. Shanks will also die by the hands of Blackbeard and Blackbeard will be killed by Luffy during the rampage of Gear 5th (Final Gear form) around the end of Raftel arc. Next articleKaido is a Man who ate a Zoan Devil Fruit or is he just a Real Dragon?